WEST POINT, N.Y. – The Army Ticket Office has announced that season and single-game tickets for the upcoming 2015 lacrosse season are now on sale and can be purchased in many different ways. The Black Knights play a total of six regular-season games at home with four Patriot League matchups. Army hosts a pair of 2014 NCAA Tournament teams at Michie Stadium with league foe Loyola coming to West Point on March 14 and then national runner-up Notre Dame on May 2. A full-price season ticket can be purchased for $25, while youths and seniors get a discounted rate of $19. Single-game tickets range from $6-$8 for a full-price ticket, with the exception of the May 2 game against Notre Dame which will be $12. All games are general admission, except for the Notre Dame contest. The popular Game Day Experience packages are back and available for groups and youth teams for all six home games. 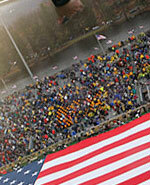 To book your youth team or group, please call 845-446-2375 or email odiamktg@usma.edu. 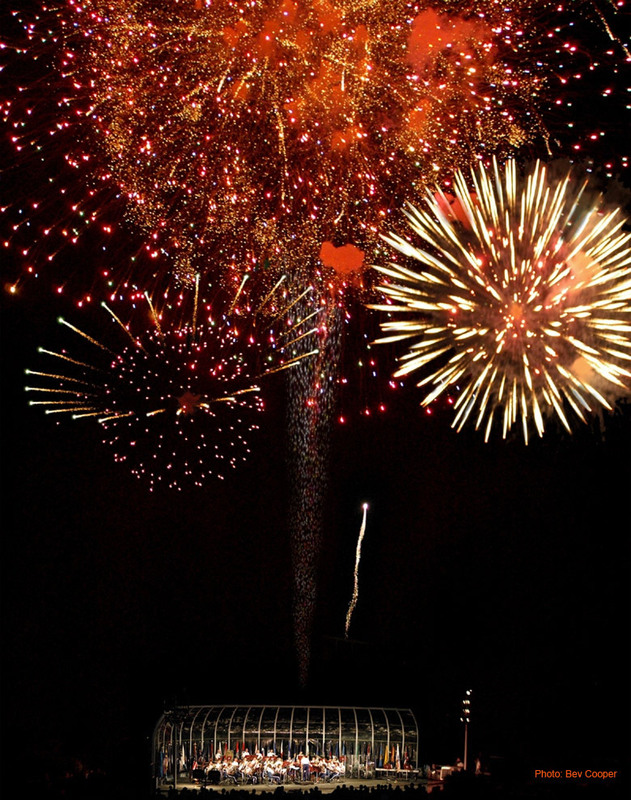 For tickets, visit www.goARMYsports.com/tickets, call 1-877-TIX-ARMY or stop by the Army Ticket Office located at Gate 3 of Michie Stadium. The lacrosse season begins on Feb. 7 with a visit to UMass and the home opener is set for Feb. 9 against VMI at Michie Stadium. 0800 – 1600, rain or shine. 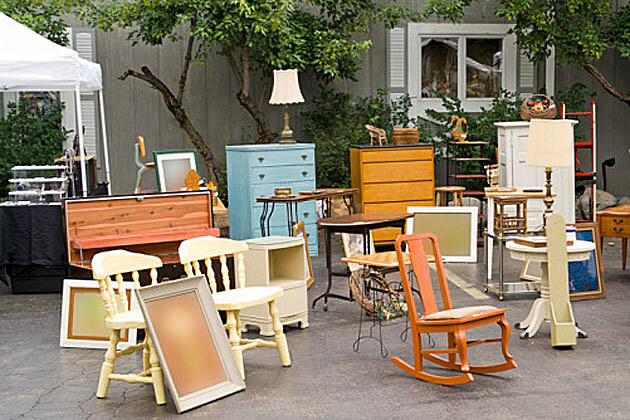 Shoppers from neighboring communities are welcome to visit the yard sale throughout the designated housing areas on post. While visitors are welcome, only military residents are permitted to offer items for sale. Attendees should enter through Thayer or Stony Lonesome gates. Proper identification are required upon entering academy grounds and all vehicles are subject to search. Visitors are reminded that all housing areas enforce a 15 mph speed limit--please drive safely. 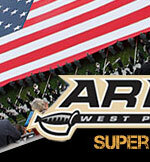 For concert information, cancellations and updates call the West Point Band's hot line at (845) 938-2617. Please Note: The Band's hot line, Twitter, and Facebook contain the most current weather-related information. Allow extra travel time to move through the security checkpoint. Saturday, October 4, 9:00 a.m.
Saturday, October 11, 9:00 a.m.
Thursday, October 16, 6:30 p.m.
Thursday, October 23, 1:00 p.m.
Saturday, November 1, 9:00 a.m.
Thursday, November 6, 1:00 p.m.
Saturday, November 8, 9:00 a.m.
Tuesday, November 11, 11:00 a.m.
Saturday, November 15, 2:00 p.m.
Saturday, November 22, 9:00 a.m.
Saturday, December 6, 2:00 p.m.
Sunday, December 7, 2:00 p.m.
Thursday, December 18, 1:00 p.m.
WEST POINT, N.Y. — On a crisp, sunny autumn Saturday afternoon, about an hour’s drive north of New York City, more than 30,000 Americans in unison have their eyes fixated on the sky above this normally very quiet town overlooking the Hudson River. They are all cheering and clapping at the same time, creating quite the spectacle. One by one — darting down from 13,000 feet in the clear blue sky above — is a parachute team whose mission it is to land precisely in the center of the 50-yard line at Michie Stadium in order to simply deliver the game ball to the referees officiating the football game about to commence. And they do it with ease. Welcome to the uniqueness that is the United States Military Academy, home to Oceanside native Anees Merzi the past four years. Born to a father who fled Lebanon before its Civil War — and a Samoan mother — Merzi walks daily beneath larger than life granite, neogothic buildings in gray and black hues and statues of George Washington, George Patton and Douglas MacArthur. This is in fact the place that has bred 74 Medal-of-Honor recipients as well as the likes of former U.S. presidents Ulysses Grant and Dwight Eisenhower, and Jefferson Davis, former president of the Confederate States of America, among other American icons. What’s even more shocking is that Merzi ended up in this post that was a military garrison that played a key role in the Revolutionary War. Although a Scholar-Athlete at St. Augustine High, the 6-foot-3, 274-pound majoring in Arabic had no thoughts of attending Army. “The first coach that recruited me was from Navy, but I didn’t start looking at Army until my senior year,” he explained. But then there was the influence of his family, like maternal grandfather Eddie Lisi Senior, who served in the U.S. Marines Corps. And Uncle Bill Afoa who served in U.S. Army, and Uncle Fovali Pili, who did too, earning two Bronze Stars and one Silver Star for heroics while in Vietnam. Eddie would tell stories of how the Marine Corp shaped him, from that undisciplined kid in American Samoa who would skip school to go fish into the patriot who served in Korea and Vietnam before settling in Vista. If that admission might sound a bit odd, it won’t when you consider Merzi’s daily schedule. While Army is a four-year school like other universities, the students — known as cadets — seldom have time to ponder but they do get to know each other quite well. They all live on campus and eat together en masse. Merzi’s participates in marching practice at 6:15 a.m. and then class from 6:50 a.m. to 3 p.m. By 3:30 p.m., it’s football practice and then there’s homework to follow and an official curfew at 11:30 p.m.
“But most of the time, lights are out by 11 p.m.,” Merzi quips. Staying organized and effectively managing time, coupled with Army’s rigorous academic standards, were Merzi’s biggest challenge in his early years at West Point, as well as dealing with the failure that comes along with it. Army students are on par with Harvard’s and the Ivy League, with the academy admitting just 12 percent of all applicants yearly. Army students are officers-in-training and their education is fully funded by the Army in exchange for active duty service. Slated to graduate next spring, Merzi said he will do so more mature and prepared to face the challenges then when he first walked on campus. His decision to major in Arabic may be largely fueled by his father’s roots, but also by his palette. He’s a sucker for Middle Eastern cuisine and continuing on the family tradition of military service. He’ll be a second lieutenant upon graduation and will be ready to serve if called upon. Remember, purchasing and renewing your season tickets or single game seats has never been easier! Just click on TICKETS, find your seat, and enjoy the game! 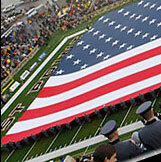 WEST POINT, N.Y. - The Army football team returns home this Saturday to battle Mid-American Conference opponent Temple at Michie Stadium. Kickoff is set for noon. The game will be televised nationally on CBS College Sports Network with Dave Ryan (play by play), Jason Sehorn (color analyst) and Cadet Chris Frasse (sideline reporter) calling the action. A live video stream of the game will be available via CBS College Sports XXL (www.cbssports.com). The Army Sports Network will have the audio call of the game on its flagship station WABC (770-AM), as well as WALL (1340-AM) and WEOK (1390-AM), Sirius Satellite Radio (channel 126) and ITT Knight Vision. Rich DeMarco (play by play), Dean Darling (color analyst) and Tony Morino (sideline reporter) will cover the game on the Army Sports Network. Army (3-1) is off to its best start since the 1996 team began the year 4-0. The Black Knights won their second straight game last Saturday with a convincing 35-21 victory at Duke. The win was Army's first over an ACC opponent on the road since 1971. The Black Knights turned five Duke miscues into 28 points en route to the victory. Temple (3-1) began the season with consecutive victories over Villanova, Central Michigan and Connecticut, before suffering a 22-13 defeat at 23rd-ranked Penn State last week. The Owls jumped out to a 13-6 lead on the Nittany Lions, but they were unable to hold onto it. Army head coach Rich Ellerson is in his second season guiding the Black Knights. He posted a 5-7 record during his first season along the banks of the Hudson, and he currently holds an 8-8 mark at West Point. Army had posted just seven victories in the 32 games prior to Ellerson's arrival. Temple is coached by Al Golden, who is in his fifth season leading the Owls' program. He has led the team to a 22-31 record since taking over the reins prior to the 2006 season. Last year, Golden guided Temple to its first winning season since 1990 (9-4) and its first bowl game appearance in 30 years. Army and Temple have met seven times previously, with the Black Knights holding a slim 4-3 edge in the all-time series. The Owls have won the last two meetings, including a 27-13 decision last year in Philadelphia, Pa.
Ellerson knows that Temple presents a difficult challenge this week. "Temple is the best football team that we've faced this year," said Ellerson. "They are easily the most physical football team we've faced this year. They're a program that was in a bowl game a year ago, and they're off to a great start. They are used to winning, and they are used to winning late. They are used to finding a way when their backs are to the wall in the fourth quarter, of coming up with plays. This is going to be a great challenge for us. We can't wait." Army, which is averaging 29.5 points per game, is led by its dominant rushing offense. The Black Knights enter Saturday's matchup with Temple ranked eighth in the nation with 274.8 rushing yards per contest. Army has already scored 14 rushing touchdowns this fall, after totaling just 13 ground scores a year ago. The Black Knights spread the wealth offensively with four different players averaging more than 40 rushing yards per game. Senior slotback Patrick Mealy (56.0 yards/game) and sophomore quarterback Trent Steelman (51.2) lead the way, while sophomore fullback Jared Hassin (47.8) and sophomore slotback Brian Cobbs (45.8) follow closely behind. Steelman has continued develop in the passing game, completing 54.8 percent of his throws and having authored a passer efficiency rating of 139.3 through four games. Last week versus Duke, the second-year signal caller completed 4-of-6 passes for 85 yards and two touchdowns. Junior wide receiver Austin Barr, junior wide receiver Davyd Brooks and sophomore wide out George Jordan have all emerged as viable options for Steelman when he drops back to pass. Barr had the hot hand against Duke, pulling down three balls for 51 yards and a touchdown. He comes into Saturday's action leading the Black Knights with six receptions and 81 receiving yards. Brooks (four catches, 61 yards) and Jordan (four receptions, 43 yards) have been steady as well. Temple, which averages 21.8 points per game, is more balanced offensively than Army. Through four contests, the Owls are averaging 146.5 rushing yards per game and 139.8 passing yards per game. The offense runs through redshirt-junior quarterback Chester Stewart, who has thrown for 556 yards and two touchdowns in four games. The Owls' rushing attack is paced by sophomore running back Bernard Pierce, who is averaging 85.8 yards per game with five rushing touchdowns. Pierce is a threat to catch the ball out of the backfield as well, having hauled in four receptions for 44 yards and another score through the air. Stewart's top receiving option is senior wide receiver Michael Campbell, who has caught 10 balls for 142 yards and a touchdown. Army's defense has played especially well over the past two contests. The Black Knights forced five turnovers in their victory over Duke last week, and they come into Saturday's contest versus Temple having come up with 12 takeaways through four games. Senior linebacker Stephen Anderson leads the defensive unit with 31 tackles. He has also posted one interception and one tackle for loss. Senior defensive end Josh McNary has been Army's top defensive playmaker through four games, having recorded 22 tackles, 6.0 tackles for loss and 5.0 quarterback sacks. 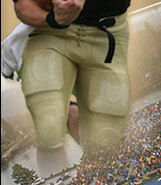 He is Army's all-time leader in both sacks (23) and tackles for loss (42.5). Senior defensive back Jordan Trimble leads the Black Knights' secondary with 18 tackles and an interception. Fellow senior defensive back Donnie Dixon has posted 17 tackles. He intercepted a pass against Duke that he returned inside the Blue Devils' 10-yard line to set up an Army touchdown. Temple's defense is led by senior defensive back Jaiquawn Jarrett and senior linebacker Elijah Joseph, who pace the team with 28 tackles apiece. The Owls, who are yielding just 18.0 points per game, have allowed their opponents to score just four touchdowns in 14 trips to the red zone. Ellerson is quite impressed with the Owls' defense. "It is easily the most physical outfit (we've seen this year)," said Ellerson. "They're a veteran outfit. They're a very gifted outfit. They're used to being successful. They're used to stopping people. They're used to taking the football away. They're used to making big plays in critical situations. They're very confident, and they're very competent within their own system. They're very, very physical, and very gifted." It will be Homecoming Weekend at West Point, and the first 5,000 fans through the turnstiles will receive a Glenn Davis bobblehead doll. Army will return to the road next weekend when the Black Knights travel to New Orleans, La., to take on Tulane in the Louisiana Superdome. Kickoff is slated for 3:30 p.m. ET. 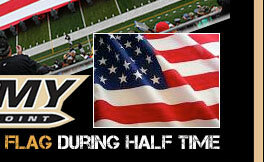 Mini-plan and single-game tickets for all Army home contests are currently on sale at the Army Ticket Office, by phone at 1-877-TIX-ARMY or online at www.goARMYsports.com. Thank you for your interest in the United States Military Academy cadet reviews. These reviews, sometimes referred to as parades, are part of the West Point tradition and instill discipline and order within the Corps of Cadets while fostering esprit de corps and camaraderie. You should confirm review times by calling (845) 938-2638 on the day prior. Reviews may be subject to change or cancelled without prior notice. Please keep in mind that in the event of inclement weather, reviews will be cancelled. 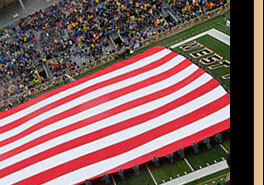 Enjoy your visit to West Point!